(847) 669-4771 to Request An Appointment! As a Northern Illinois dentist we are proud to provide dental care to patients in Huntley, Lake In The Hills, Gilberts, Hampshire, Woodstock, Algonquin, Marengo and more. 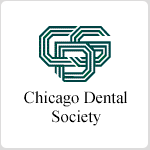 Call Century Dental in Huntley IL for a friendly staff and a great smile at 847-669-4771 Century Dental of Huntley is a Huntley, IL dentist who specializes in general dentistry, family dentistry, cosmetic dentistry and more. Offering common dental care services such as dental implants, teeth whitening, porcelain veneers, smile makeovers, emergency dentistry as well as restorative dentistry. Our family dental office is located in McHenry County, Illinois and proudly serves patients from Huntley, Lake In The Hills, Gilberts, Hampshire, Woodstock, Algonquin and the surrounding communities of Northern Illinois. Always accepting new patients, schedule your appointment today!